Welcome to Cookstown Chiropractic & Wellness Centre! You’ll find that our health care facility is a bright, friendly place where you’ll feel right at home. We love getting to know our patients and their families. 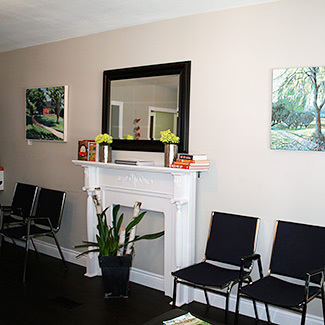 Our atmosphere isn’t anything like the more impersonal, clinical offices you may have encountered from the past. The best part of our day is seeing happy people leave our practice feeling even better; we welcome the opportunity to assist you! The necessary paperwork to get started can be found on our website and brought in with you completed. When you arrive, you’ll be greeted and seen promptly by your chiropractor for an examination. If X-rays are needed, they can be taken at our Barrie location without any waiting times. When you return, you’ll sit down with your chiropractor to go over a report of findings from your examination and X-rays if taken. You’ll receive options for your health care that you can align with your personal goals in seeking care. There’s no need to decide right away, but we’ll continue talking about these different types of care over your next few visits. We’ll then detail the different techniques we use, get your informed consent and give you a chiropractic adjustment. Your subsequent visits will follow your treatment plan. We keep your visits efficient to ensure you don’t wait and can return promptly to your day. Each appointment builds on the one before it, and we’ll educate you on what we’re doing, why and how your body is healing each time we see you. A single adjustment may involve several chiropractic techniques depending on what’s best for you and your comfort level. Contact our Cookstown office today to get started! We offer same-day appointments.